Allow me to show you the difference first between a co-borrower from a co-maker based from my understanding of these two most misquoted terms in the lending industry in the Philippines. A coborrower is a used in non-collateral loan and is a term used for providing a nearest relative with a regular source of income to become the second borrower wherein in case of failure to collect and pay by the main or principal borrower, the coborrower gets in the picture to become the second or reserve person where the payment of month loan amortization may be billed and may come from. On the other hand, a co-maker is that second person just like a co-borrower by definition but in this case, he or she will be used to apply for a collateral loan. When Does a Principal Borrower Need a Co-Borrower / Co-Maker? In times that the earnings, source of income or payment capacity of a borrower is not enough to suffice his or her need to borrow a bigger amount of money, either of these secondary borrower will be required by the lending company. Usually, insufficient income is the main reason why either is needed before a loan will be processed and approved. Most of the time, a non-collateral loan will require a co-borrower though. A good example to this is the seaman loan. After shedding light to define the two terms stated in my blog title today, I used comparison and contrast method for you to see the difference. Both actually have the identical purpose but is just used in 2 major types of different loans in the Philippines. Knowing how and when to use a co-borrower or co-maker is another issue that a fast cash loan borrower must address before applying for a loan. Although most would prefer to stay away from providing one, it is most likely that having one does help increase your loanable amount a notch higher and your credibility for fast approval even faster for quick release of your loan. If you are someone who is looking to apply for a loan and you happen to read this article, you might want to consider finding one for you prior to application as a reservation although after reading this post, you will definitely know outright if you will ever need one of not. After understanding the two terms by differentiation, by now you should know why and when you will need one. At least an overview of it. If not, then please read more below to catch up. Non collateral loan will usually require a co-borrower for the reason that these same type of loan is an unsecured loan. Meaning, the lending company will need more or extra assurance that in time that a borrower may not be able to pay for his or her loan amortization and interests, there is a reserve source where the loan amortization collectors will get in and the co-borrower will have to take the responsibility. It is usually stated in the loan contract. The same reason why I won’t suggest to anyone to be or stand as a co borrower or co maker to anybody. Not even to a nearest relative. The burden of paying for the loan may be transferred to you by virtue of being so. If a borrower is looking forward to get a higher loanable amount in exchange of his or her collateral or non-collateral loan, a co-borrower or co-maker is highly suggested. Make sure to provide someone who had a stable and high enough source of income in this case so you get extra assurance that you will get higher appraisal value for your collateral or higher loanable amount in return. A second stringer borrower is good when you have a slightly low capacity to pay value based on your source of income. This income may come from a business, regular job, property for rent and so on. If a borrower doesn’t have an income at all. If you have a low value collateral. A co-maker will absolutely help you make sure of a maximized value exchange for your property. If you want assurance that your property or collateral won’t be wasted to become a foreclosed property. In short, to help prevent foreclosure. To gain trust from lending companies like bank, private and personal lenders as well. To get additional assistance in paying your loan amortization. This is true when a wife or a husband (spouse) is used as a co-borrower or co-maker. Do co-makers need to provide an ITR for the approval? co-borrower or co-maker don’t have to provide ITR but if there is one on hand, it would be best to submit it. On the other hand, just the 1 month latest payslip plus 2 valid primary IDs will do as documentary need to qualify as co-borrower. God speed and God bless you. 1. Are spouses automatically considered co-makers for, say, a bank loan even if the spouse did not sign it? 2. What if the spouse was not aware that the other half made a loan without the spouse’s consent/knowledge. Will the spouse still be held liable for the non payment of the other half? A friend of mine is selling her house loaned in Pag-ibig, but already paid in full with a title. The problem was when she loaned the house in the 80’s Pag-ibig required her to have a co-maker as her salary is just enough to pay for the loan. Her sister volunteered to be the co-maker. 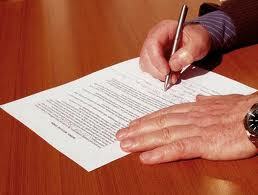 Pag-ibig required that the husband of both the Principal and co-maker affix their signature. The sister has long been abandoned by her husband at the time of the loan but nevertherless she put her husband’s signature as Pag-ibig required it. The was paid in 16 years by the Principal applicant who had a stable job in the government and her husband who even went overseas the be able to pay the loan fast. My friend is now selling the house as they already live overseas. But since the title contains the name of the 4 persons the bank where the buyer is requesting a loan wants the seller to apply in court stating all the facts about the co maker’s husband whom she has not seen for 45 years, as he left them when she was pregnant with their only son who is now 45. I’m planning to get a loan with my girlfriend before we get married. Can we be co-borrowers? I don’t think my salary alone will be approved if ever I apply for the loan.